In less than one minute, you can do this trick! Perfect accessory for your D'Lites! 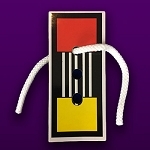 Turn your D'Lite into a whole routine- absolutely no skill needed! 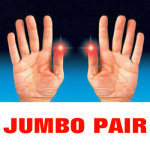 Perfect for talent shows and plays, too! 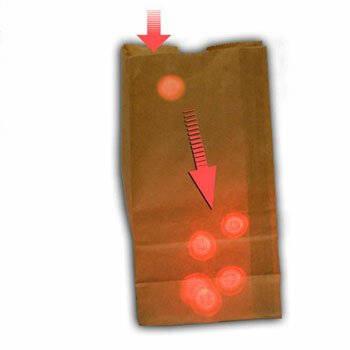 Use your D'Lite to pluck a bright red light out of thin air, then toss the light into this paper bag. You can see the light actually moving and dropping down into the bag. The light glows inside the paper bag- it's easy to see. Pluck more lights from the air and toss them into the bag. One after another, they begin to pile up inside the bag, until you have a whole bag full of red lights- Bag O Lites! Produce up to 10 lights and "drop" them into the bag. When the bag appears to be full of red lights, just blow on the bag- the lights all go out! The bag even looks empty before and after! Though meant for use with D'Lites, the bag can certainly be used as a trick on its own. 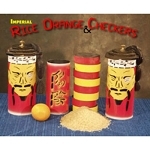 Pretend to pick something out of the air, and when you drop it into the bag, it lights up! Like a firefly! This is perfect for plays and theatrical productions! 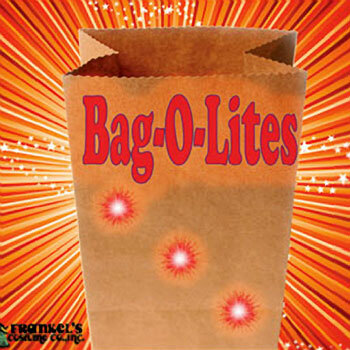 The Bag O'Lites is made with RED lights. 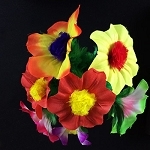 It can be used with any size D'Lite gimmick or by itself. This item DOES NOT include any D'Lites. 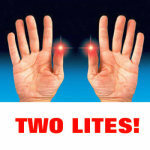 You can purchase a set of D'Lites separately below. D'Lite Light From Fingertips gimmick is NOT included. 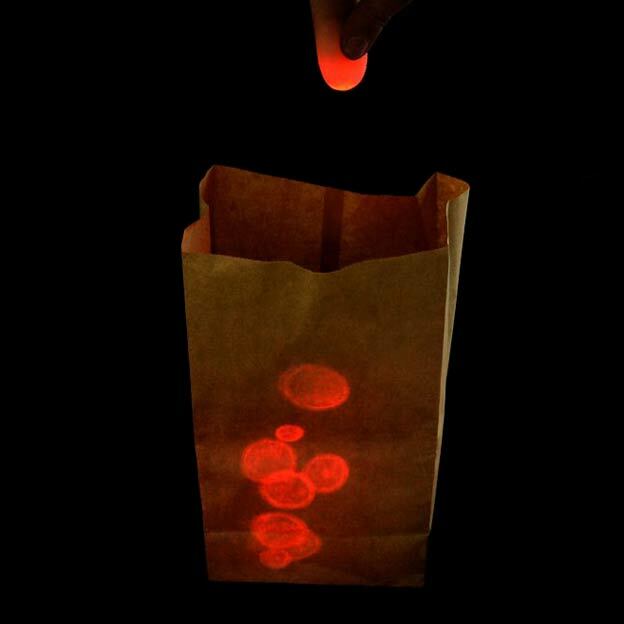 Add a little realism to this effect by making the paper bag "pop" as you drop the lights into it. Hold the top of the bag between your thumb and your middle finger. 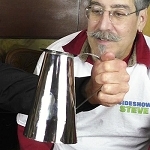 Now snap your finger- the bag will make a popping noise. Very effective! You can use any bag you want. When your bag gets worn, just use another. Small lunch size bags can be purchased in any supermarket. Now I use my delite in front of my class. Its a whole routine rather than just the lite at the tip of my finger. I also learned how to snap the paper bag so it sounds like you can hear the light dropping into it.